We are temporarily closed from May 6th due to a regal inspection. We apologize for the inconvenience. 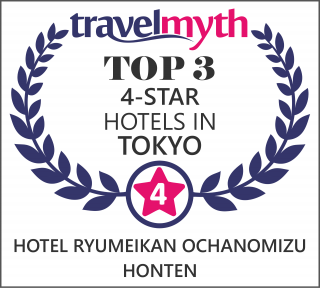 Hotel Ryumeikan Ochanomizu Honten has been awarded the「CUSTOMER REVIEW AWARDS 2018｣ .